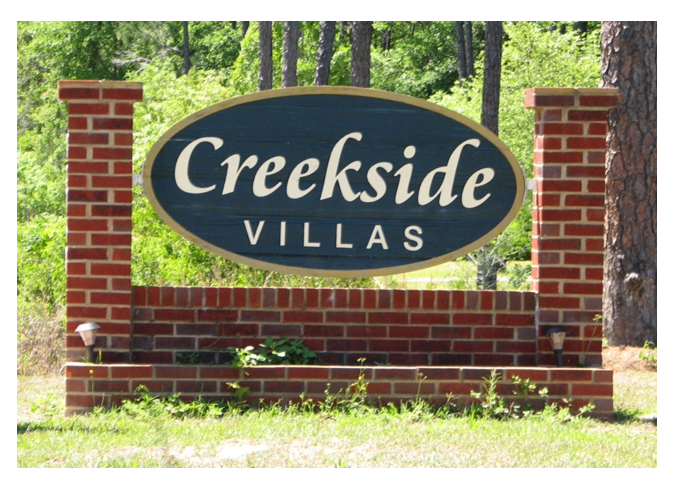 Creekside Villas is located just north of Portage Creek, about twelve minutes from the Gulf Shores Hangout and public beach access. These beautiful townhome-style condos are in a secluded area, surrounded by trees and a little to the west of the Foley Beach Express. The property is lushly landscaped and offers walking trails with wooden boardwalks. There is a community outdoor pool surrounded by a fence and a large gazebo with tables and benches for picnics. A number of restaurants and shopping centers are right down the road and the Emerald Greens Golf Club is just minutes away. Creekside Villas is minutes from the Foley Beach Express allowing for quick trips to several popular attractions like The Wharf Amphitheater, OWA amusement park, golf courses, and Gulf State Park. The community of Orange Beach is easily reached via the expressway and is a great real estate market for investors looking to earn extra income. Visit our Orange Beach condos for sale page to learn more information. Please let us know if you would like further info for Creekside Villas or any other Gulf Shores condos, homes, or real estate along the Gulf Coast or would like to schedule a private viewing by emailing info@condoinvestment.com or by calling (251) Area-Pro (251-273-2776) for immediate assistance.